Sine Kerr is a dairy farmer, a mother, a grandmother, and now a State Senator. 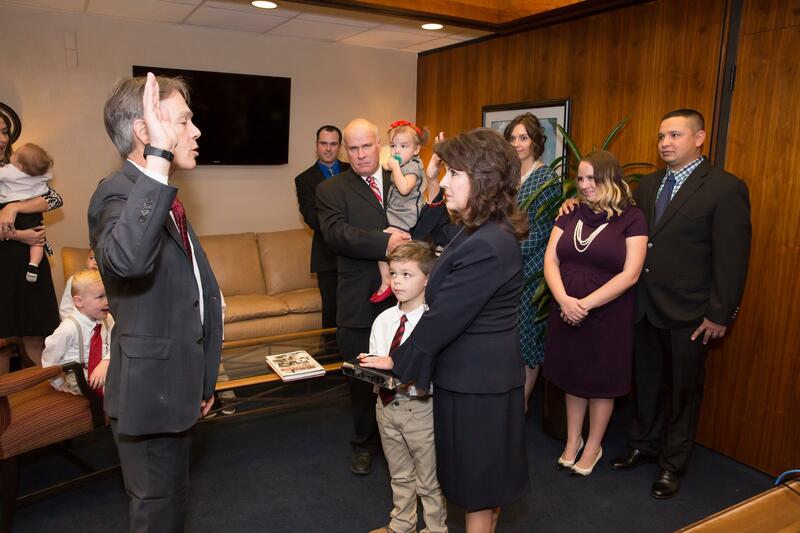 Kerr was appointed by the Maricopa County Board of Supervisors to replace State Senator Steve Montenegro, who left office to run for the United States Congress. Arizona Edition - In Legislative District 13, incumbent Republican State Senator Don Shooter faces opposition in the August party primary. The primary winner will face a Democratic opponent in November’s general election. KAWC’s Kim Johnson talks to some of the candidates and profiles the race…(originally aired 06/18/14). This piece was featured in the June 18th Arizona Edition. Other pieces featured in the show can be found below in the related content section.